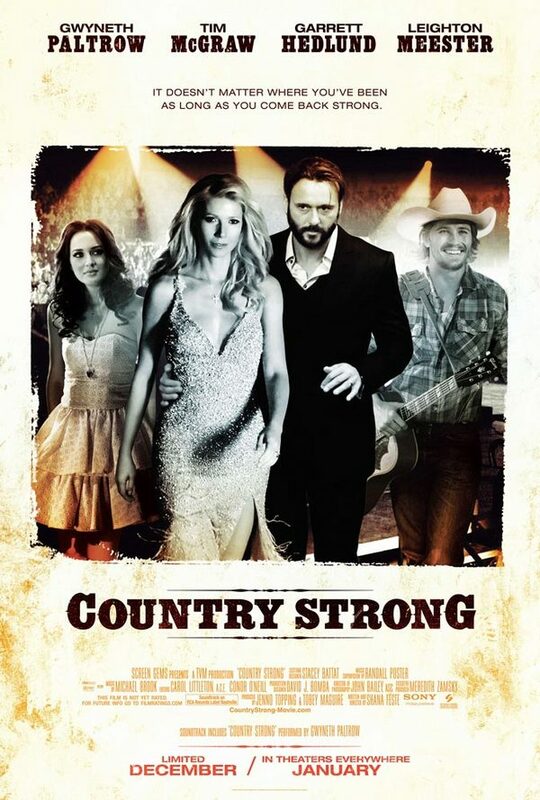 The movie Country Strong: trailer, clips, photos, soundtrack, news and much more! So, who’s the best singer: Gwyneth Paltrow, Garrett Hedlund, or Leighton Meester? Country Strong – Am I gonna play a song for you? The film is directed by Shana Feste and is starring Gwyneth Paltrow, Tim McGraw, Garrett Hedlund and Leighton Meester. 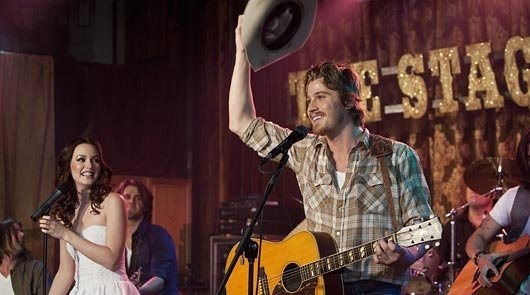 Soon after a rising young singer-songwriter (Garrett Hedlund) gets involved with a fallen, emotionally unstable country star (Gwyneth Paltrow), the pair embarks on a career resurrection tour helmed by her husband/manager (Tim McGraw) and featuring a beauty-queen-turned-singer (Leighton Meester). Between concerts, romantic entanglements and old demons threaten to derail them all. Gwyneth Paltrow is absolutely gorgeous in her shiny silver dress (at the end of this Country Strong TV spot). The movie Country Strong is directed by Shana Feste and is starring Gwyneth Paltrow, Tim McGraw, Garrett Hedlund, and Leighton Meester. Directed by Shana Fest, the movie Country Strong is starring Gwyneth Paltrow, Tim McGraw, Garrett Hedlund and Leighton Meester. The release date of Country Strong is set for December 22, 2010.